Geo flower luxury scarf is a burst of white flowers, overlaid with colourful and bold graphic shapes. This bright design has a broad colour range that will work with many outfits. SKU: KATH:GEOFLOWERSQ90MC. Category: Modal Cashmere Square Scarves. 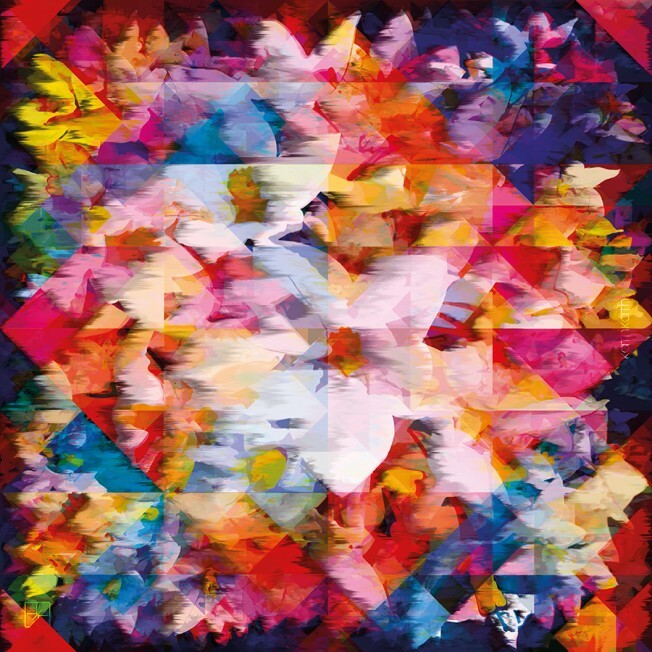 This luxury scarf is digitally printed and hand finished in the UK using a Modal and Cashmere blend. The fabric is warm, soft and light, making it extremely comfortable to wear all day at any time of year. 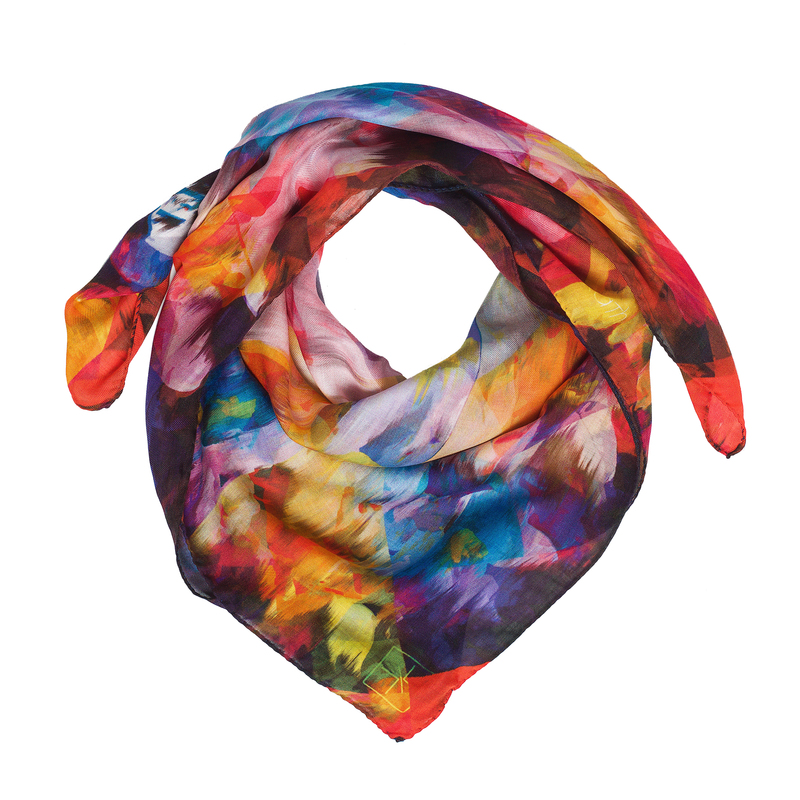 The scarves are vibrant with colour and have a gorgeous drape and sheen. The perfect versatile accessory. Dry clean only. 90 x 90cm.